Students can register for In-seat and Online courses in one place! 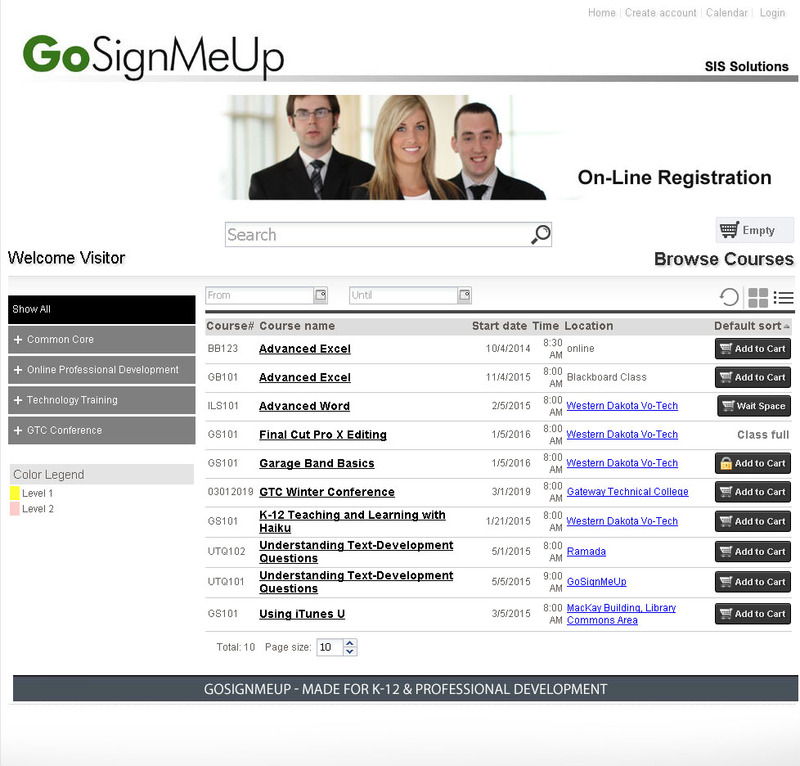 It’s easy for registrants to search, sign-up and pay for courses using GoSignMeUp! 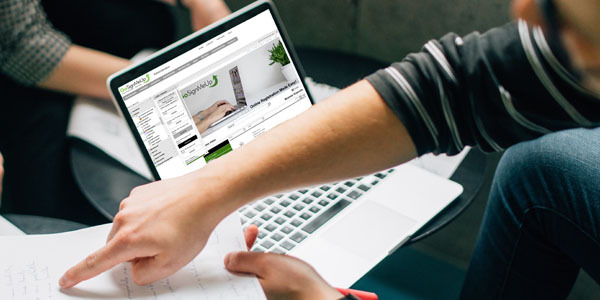 Manage both in-seat and online courses in one place, and allow students to sign-up for either in one place. 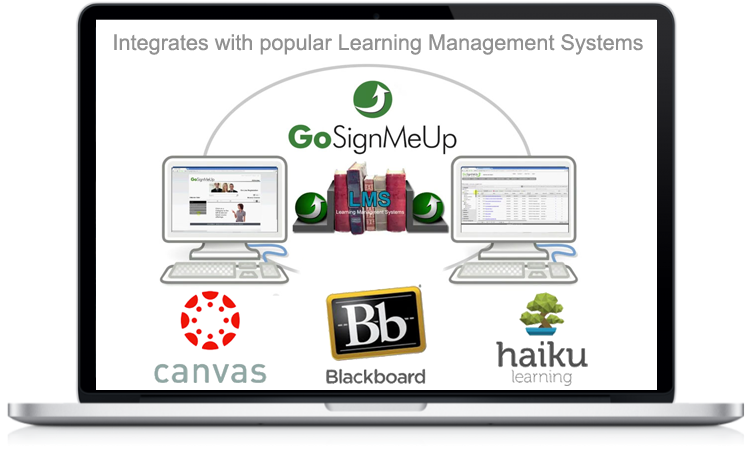 GoSignMeUp integrates with popular LMS systems such as Canvas and Blackboard, allowing you to charge for courses as well as materials if you wish! 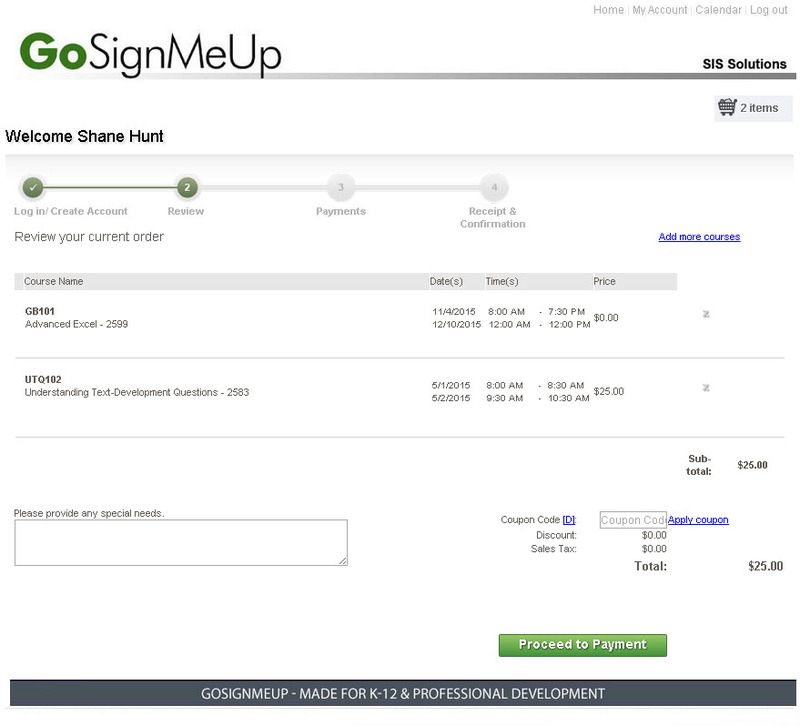 You can also promote courses with coupons and other flexible pricing options. Students can also share their choices on popular social media platforms! 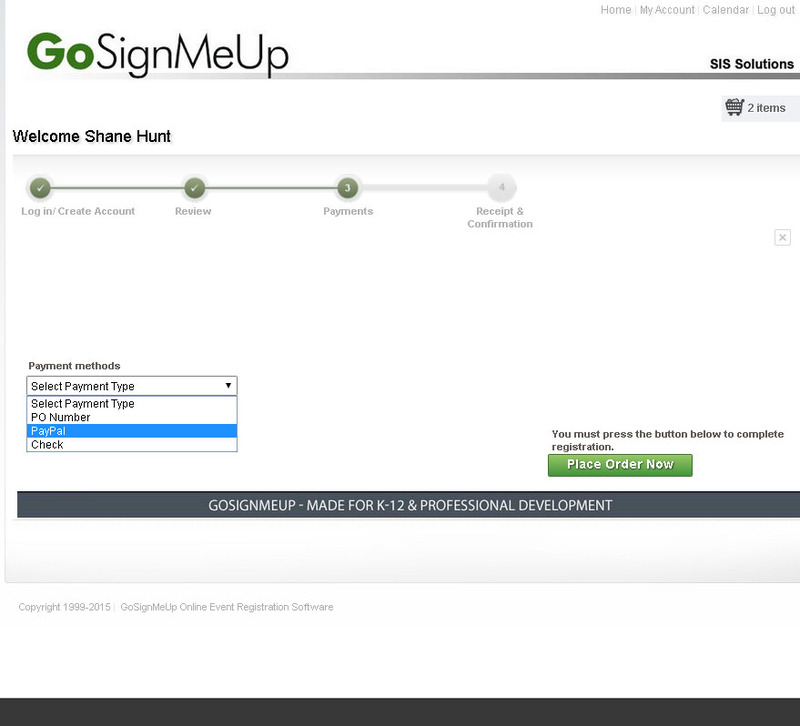 The GoSignMeUp public-facing catalog is fully customizable, so you can match your current corporate identity guidelines. You can also embed your catalog in to your current web site if you wish. 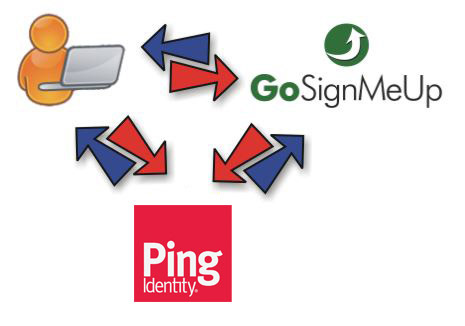 GoSignMeUp’s registration process is easy – it just takes a few mouse clicks! 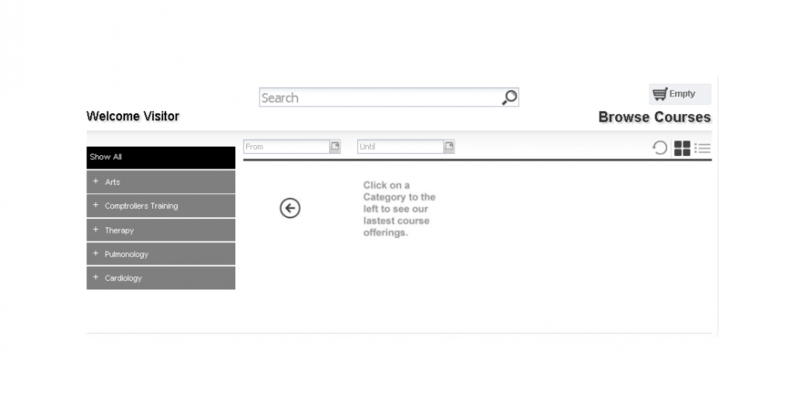 Organize your courses by Categories and Sub-categories, and view as listings or tiled views. 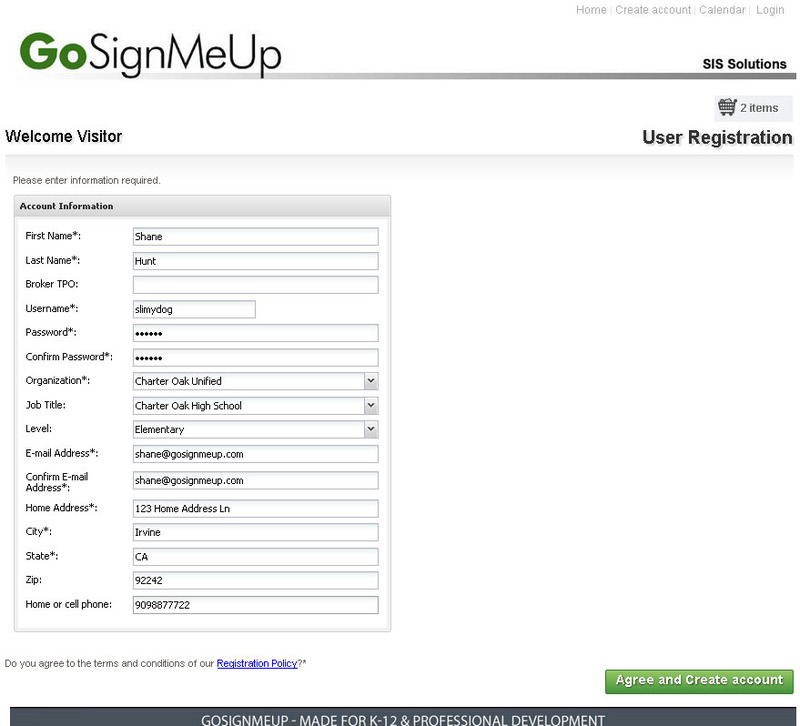 Bottom line is its easy for students to register using GoSignMeUp! Each class is listed in up to 3 Main Categories that are customized. Under each Main Category are Sub Categories. 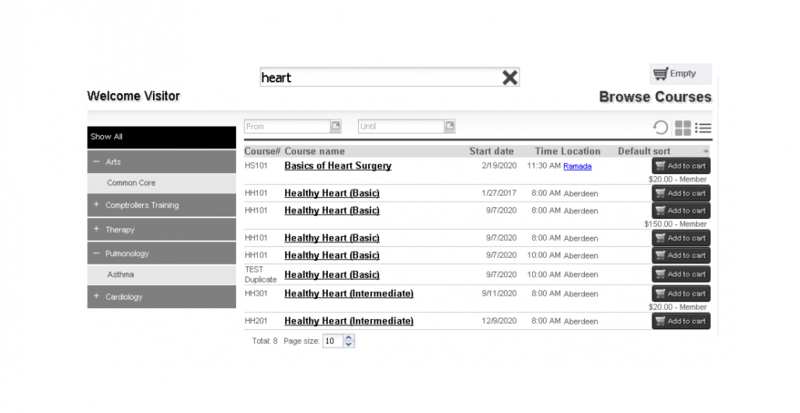 Classes can be searched by keywords such as class title, instructor or dates. 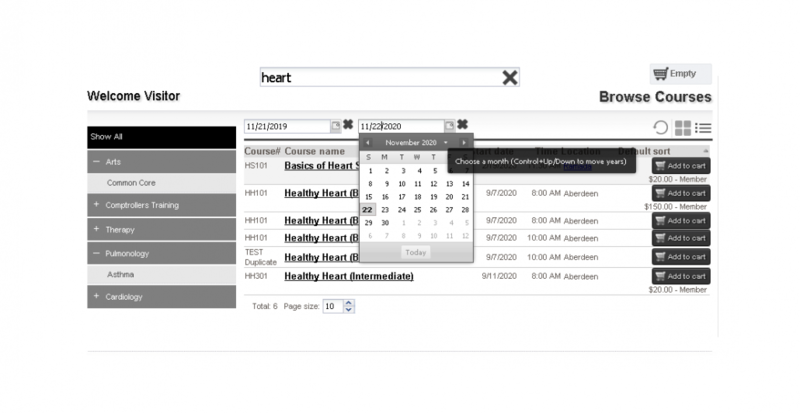 Visitors can use the calendar view to search through classes by month, week, day, or category. 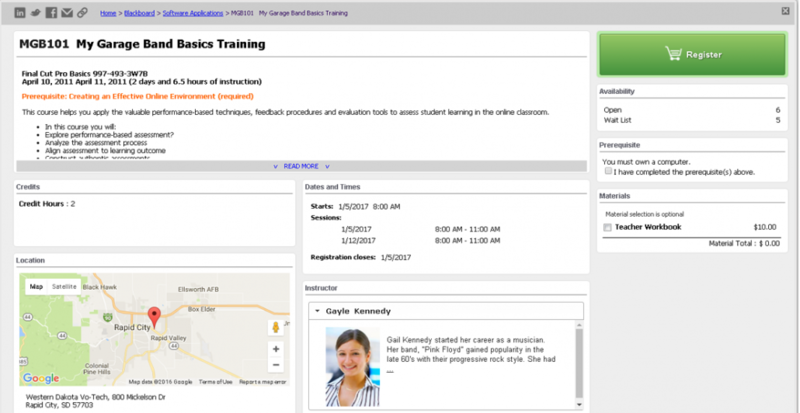 Clicking a link brings up the expanded course description. 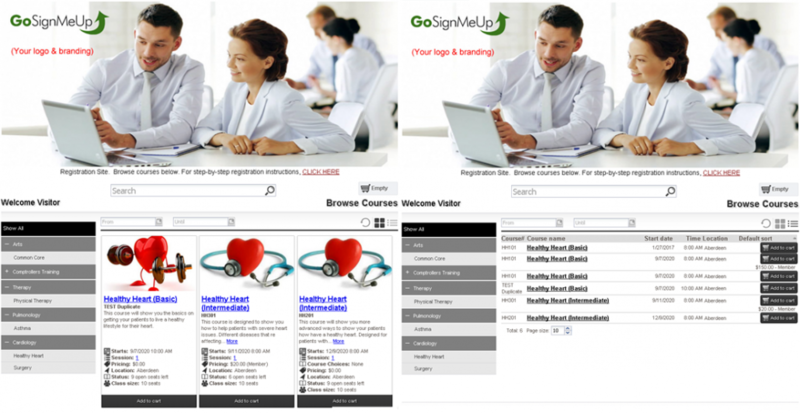 One can sign-up for single or multiple classes, either in-seat or online. Create up to 43 fields to your registration form to match your unique registration requirements. 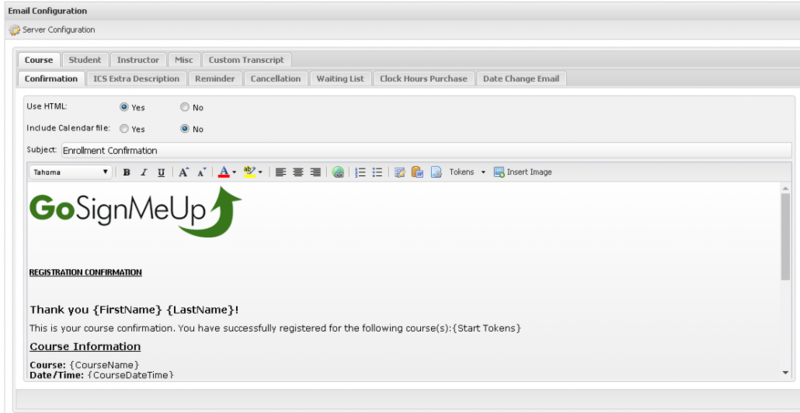 This process takes only 2 mouse clicks if the class is free and 3 mouse clicks if you charge for classes. A receipt will be sent to registrants once they have completed the registration process. 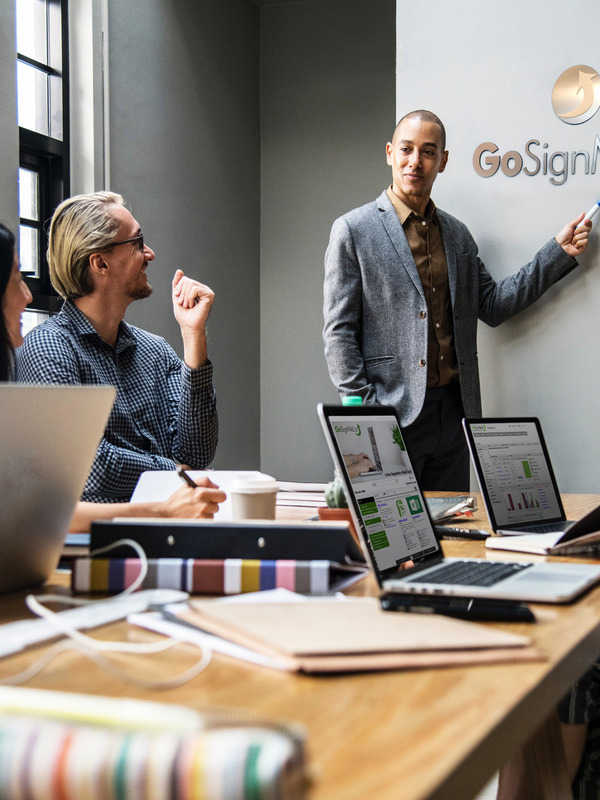 It can include specific information about the class(s) they have registered for along with attachments and a VCS file that will put the dates and times of the class into their calendar. Additionally, 2 reminders can be sent out automatically. You can offer credit card payments, as well as other payments such as deferred, purchase order, cash and much more. Students can register their interest in taking a class that is full by joining a wait list. 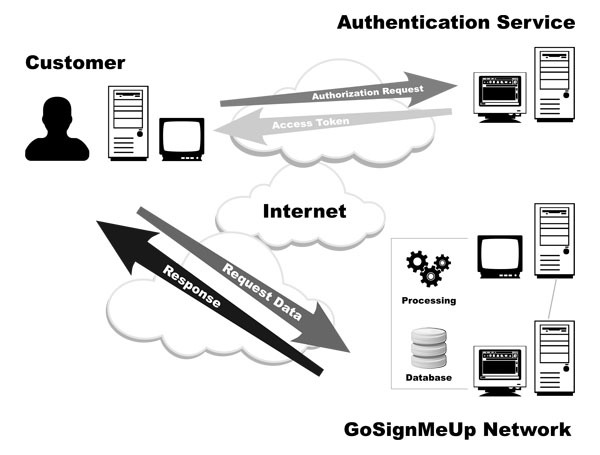 Integrate with your Windows-based LDAP or Active Directory server. 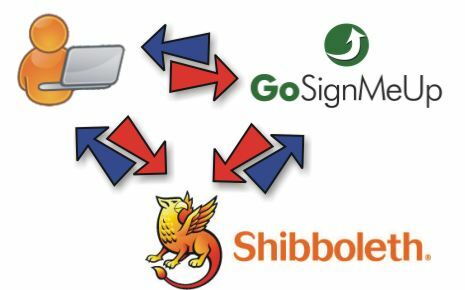 GoSignMeUp also integrates with popular SSO systems that include Shibboleth, CAS and PING. 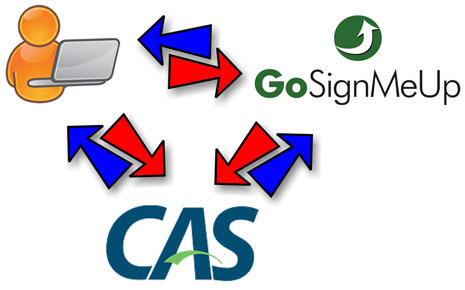 GoSignMeUp integrates directly with Canvas by Instructure, Blackboard Learn, and PowerSchool Learn. We are also able to integrate with other Learning Management Systems and 3rd party applications through webservices. These materials can be required or optional and added to the prices at check-out. You can even track your inventory levels. More info here. 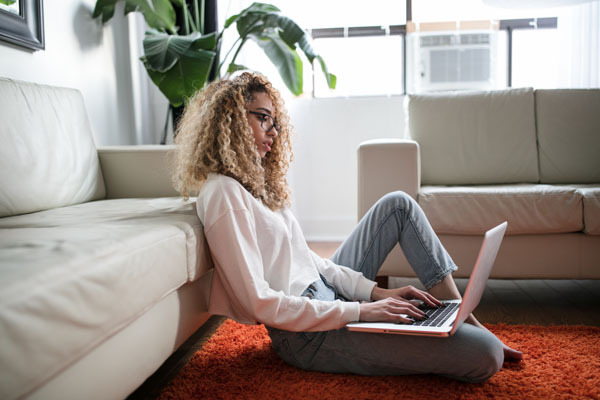 Many different pricing options can be configured for your classes, such as free, tiered pricing, student selected pricing and membership pricing. You can also offer discounted pricing using coupon codes or early-bird specials. 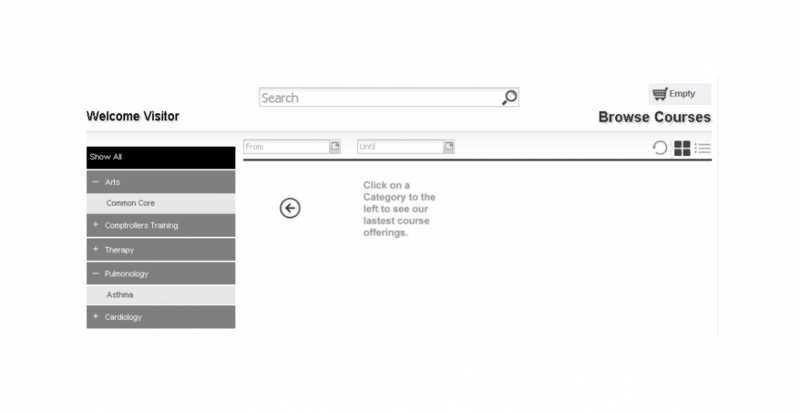 Students can easily share course details with their peers using our Sharing feature on the Course Description Page.